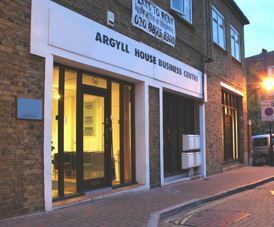 All Saints Passage Business Centre is situated in a quiet location near East Putney tube station and Wandsworth Town train station. Transport facilities are good with Clapham Junction close by which has excellent links to Central London. Within the building, there is a staffed reception on the ground floor where clients can be welcomed by trained staff. With meeting room facilities onsite, companies can hire the room by the hour or on a daily basis. Serviced offices come in many sizes and come fully furnished with workstations and digital handsets. Broadband and telephone lines are pre-installed in all suites and are ready for connection at short notice. Rent term agreements can also be negotiated on all office space.